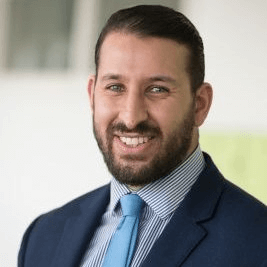 An interview with Mohamed Abdallah, Director of Student Engagement, Dunraven Secondary School. Over the last three years, I have worked with the Student Engagement Department to move away from a deficit model and embed an asset based community development approach to the whole school community. This means that we now work with our most challenging students and their families using an approach which stops them seeing themselves as burdens. Instead it assesses and identifies their strengths and potential and provides them with opportunities to then mobilise these within the school community. The students are able to see themselves as useful people and this has a huge impact on their self esteem, how they engage with the school and their commitment to learning. As the school is a community in its own right, relationships and assets are at the very heart and each and every community member (students, teachers, families) is an untapped resource with something to contribute. 2.Who has been your greatest inspiration or influence? Cormac Russell – his work has been amazing and he has experience of how ABCD can work in different sectors. He introduced me to the idea that ‘a child raises a village’ and that our students have the assets to build a strong school community. 3. The best thing about what we’ve done is? How much the approach empowers young people. I’ve worked in education for 12 years now and most of that time I used a deficit approach; it came from a good place and occasionally it had good outcomes but the new asset based approach has a unique impact on the students. They become different people. I’ll tell you a story about one of our students. 4. What has been the biggest or best mistake you have made? Believing that every young person and family would be able to identify their assets easily and immediately. But some young people can’t and it can take patience and a lot of hard work. And sometimes it seems that we’re too late or external factors have such an impact that the appreciative approach is prevented from working. One young man I know completely shuts down when we try to help him think about his abilities. 5. Did anything surprise you during the work or project? Yes! The fact that the students engage with it. I thought young people would shy away from wanting to be involved and take on responsibility and I think this is reinforced by a general societal perception that young people are disengaged and won’t be interested. But they did want to participate and with genuine enthusiasm. And then there’s the way the staff have taken to it. I haven’t met any resistance yet and usually people don’t like change. I think embracing their assets as well as the students and using the term ‘community’ has really helped; we all agreed we wanted to be part of an enjoyable community so it was relatively easy for people to join up to this vision. 6. What is the piece of advice you would give to someone thinking of doing something similar? Know your school system and the structures and make sure your senior leadership team is committed to it. It’s so great that our head teacher uses appreciative language all the time – he’s really embraced it but it also means that the new approach is endorsed and led by him. And find your champions – those people who are very in touch with the idea and can influence others. We want to start thinking about the wider community outside the school because we’re aware that we don’t engage with them enough. When we think about exhausting resources we need to consider those that are in our neighbourhood as well. 8. Where can we find out more? You can contact me directly by email or on Twitter and you’re also very welcome to visit the school. There’s a growing interest from other schools about this approach and we had two visits only last week; I’m hoping to support them as they develop their model. You can read more about the work being done at Dunraven School in our case study, published on the Ideas Hub earlier this week.